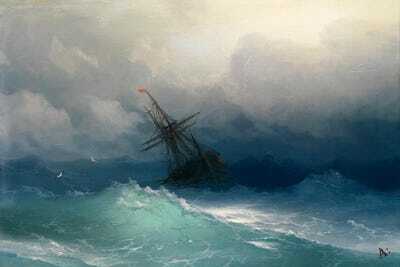 Ivan Aivazovsky was born on 29 July 1817. Renowned as a Russian painter – one of the finest master of marine art. Marine art is basically paintings, drawings sculptures etc which are derived from inspirations & ideas related to the sea. Now Aivazovsky was born at the Black sea port, could this be why he was intrigued by the sea? Maybe. His family were Armenian I think. 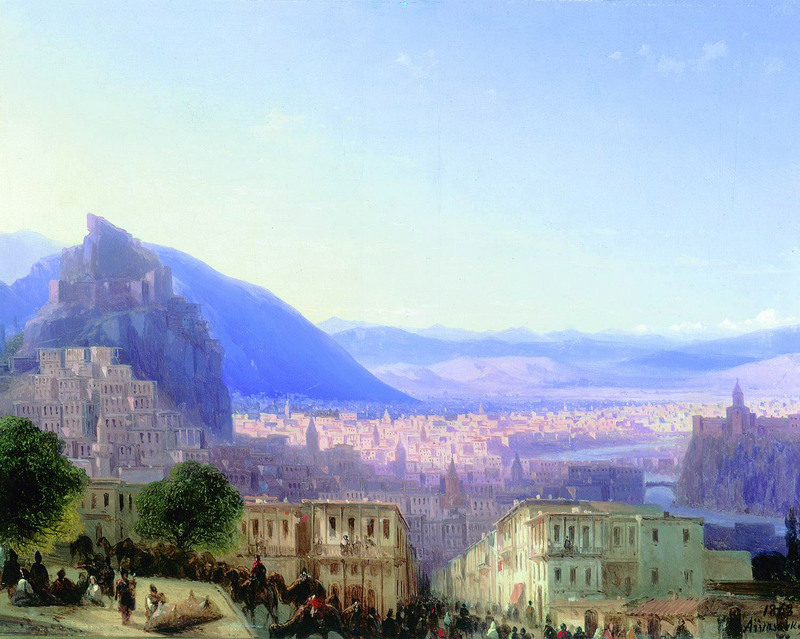 Aivazovsky, lived in Italy, prior to this he had studied at Imperial Academy of Arts in my favourite Saint Petersburg. When returning to Russia he became the main painter for the Russian Army. During his lifetime he created around about 6000 paintings which is rather extraordinary. I mean usually it takes quite some time for one painting – the intricate details and methods along with watercolours, pastels, charcoal – and what not, used to depict how the painter truly feels. Theres some paintings below that I have shared which I took a keen liking to. Love the way Ivan Aivazovsky has captured the dusky weather with rays of sunshine hitting the mosque. Beautiful. Look at that clear sky along with the crowd – seems like people are scuttling past one another. some are lounging around near the far left. I love the colours. Is that a hue of purple that’s being reflected from the mountains? I just love this. Waves, sea, boat. Uneasy tide displaying worry & distress.